Measures 3″ wide at its widest point. 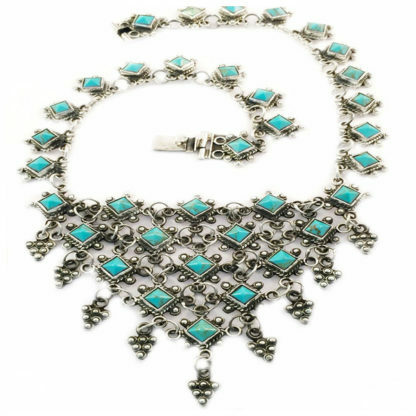 This Taxco necklace showcases a wonderful elegance in the form of an array of turquoise inlays that are accentuated by a gorgeous deco beaded pattern. The heavy draped necklace offers a 128 gram weight!